Here is the Original Sardine. Completely hand painted, created with a naturalistic style, became part of the Portuguese iconography, along with other pieces of the artist, as the "Andorinhas(swallows)" and the "Zé Povinho". Even today, re-editated from centenarians molds, Bordallo, the Original Sardine, in shoal, or alone is a design icon! 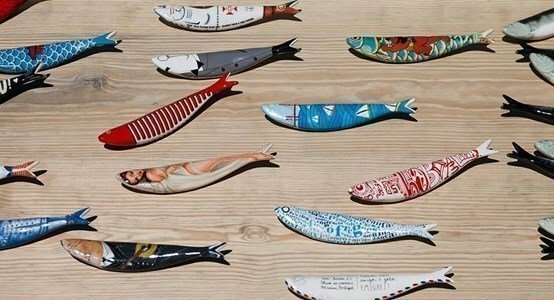 Complete the popular party , add originality to tradition and surprise, bringing the popular sardines of the famous Portuguese brand .